Cast: Queen Latifah (Iza Banks), Jill Scott (Nayyirah Shariff), Betsy Brandt (LeeAnne Walters), Rob Morrow (Professor Edwards), Marin Ireland (Melissa Mays), Lyndie Greenwood (Adina Banks). Story: Inspired by the Time Magazine cover story, “The Toxic Tap,” by Josh Sanburn, Flint is the gripping retelling of a crisis that shook a nation and shines a light on the whistleblowers who exposed the biggest environmental scandal of our generation. 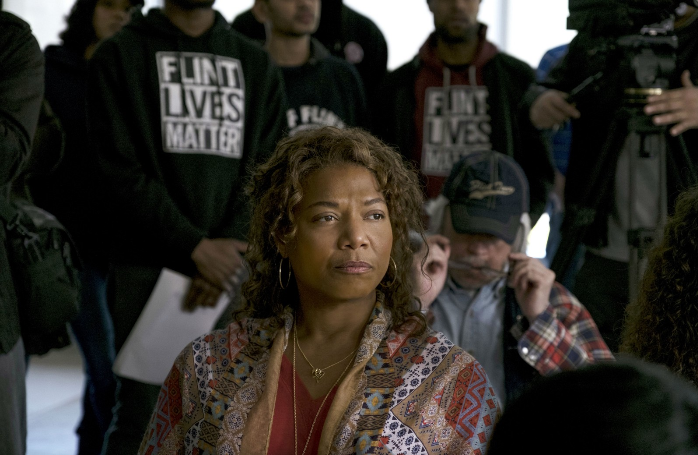 LeeAnne Walters (Betsy Brandt), Melissa Mays (Marin Ireland) and Nayyirah Shariff (Jill Scott) join forces after discovering that the drinking water in Flint, Michigan is contaminated, resulting in a slew of devastating medical problems for their families. When their claims go unheeded, they band together to expose the wrongdoings committed by their reckless, bean-counting government officials whose carelessness caused irrevocable harm to the lives of its residents. Source: Lifetime. Image: Women and Hollywood. Studio(s): Codeblack Films, Lionsgate, Spoken Productions. Cast: Common (Coltrane), Azealia Banks (Coco), John David Washington (Mahlik), Hana Mae Lee (Julie), Lorraine Toussaint (Nichelle), Jill Scott (Professor Dixon). 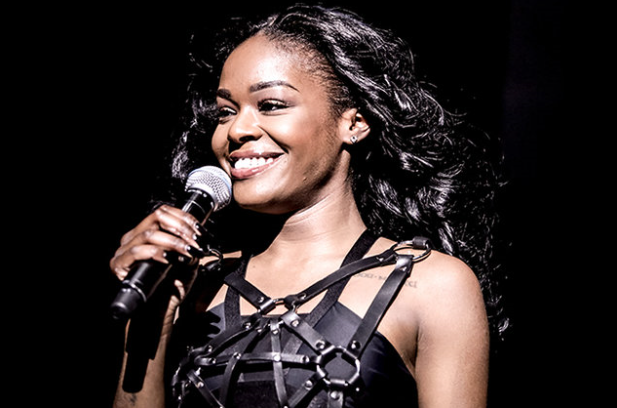 Story: Coco (Azealia Banks) dreams of pursuing a hip-hop career, but is persuaded by her parents to finish college. In a poetry class, she is transfixed by “the power of the spoken word,” developing a verbal strength that ends up propelling her toward her rap goals. Source: Rolling Stone; Photo Source: Billboard/Christie Goodwin/Redferns via Getty Images. 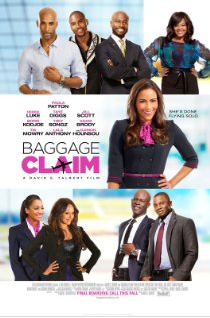 Cast: Jill Scott (Viviane), Eve Jeffers Cooper (Amaya), Regina Hall (Trista), Brooklyn Sudano (Elise), Stephen Bishop (Nate), Jason George (Sean), Deon Sanders (Keith), Brian White (Damon). 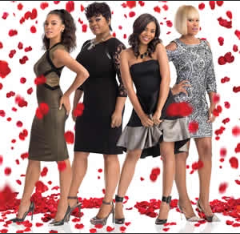 Synopsis: After attending their friend Elise’s (Sudano) wedding to Nate (Bishop) on New Year’s Eve, Trista (Hall), a career-­driven talent agent, Viviane (Scott), a successful gossip columnist, and Amaya (Cooper), a struggling actress, make a pact to get married within the year to either a new love or a man waiting in the wings. But the close friends face their own set of challenges – Trista has not gotten over her commitment-­phobic ex-­boyfriend Damon (White), Viviane is secretly in love with Sean (George), the father of her son, and Amaya is desperate to break up her boyfriend Keith’s (Sanders) unhappy marriage so they can live happily ever after. Each woman starts the year with high hopes and dreams of what will happen over the next 12 months…but will they all make it to the altar? Source: Lifetime. Update: On 7/31/14 Deadline reported that Brooklyn Sudano has booked a lead role in Lifetime’s original movie With With This Ring slated to debut this year. Written and directed by Nzingha Stewart (The Game) the romantic comedy revolves around three single best friends, who after attending the lavish wedding of their best friend on New Year’s Eve, make the vow to be married within the year. Sudano, will play Elise, the bride-to-be getting married who relies on her best friends to get her down the aisle when she gets a little case of cold feet. Deadline also revealed (7/28/14) that Stephen Bishop (Being Mary Jane) has also been tapped for a lead role in Lifetime’s original movie With This Ring, slated to debut this year. Bishop will play Dr. Sean Braswell, a handsome, successful plastic surgeon who is a good man and father to Viviane’s (Jill Scott) 8-year-old son, Cory. Details: Lifetime has tapped Jill Scott, Eve and Regina Hall to star in the original movie With This Ring, as reported by The Hollywood Reporter on 7/11/14. The romantic comedy centers on three single best friends who attend the lavish wedding of a fourth on New Year’s Eve, and desperation pushes them to make the vow to be married within the year. Each woman starts the year with hopes of what will happen over the next 12 months, but will they all make it to the altar? The movie, produced by Sony Pictures Television, hails from executive producers Tracey Edmonds, Sheila Ducksworth (Soul Food) and Gabrielle Union. With This Ring will be written and directed by Nzingha Stewart (The Game) and will film in August in Cleveland for a debut later this year. It is based on Angela Burt-Murray’s novel The Vow, which Gabrielle Union optioned five years ago and sold to Sony for Lifetime. This is Union’s first project as a producer. Source: Deadline. Story: Based on the incredible life story of James Brown, the Godfather of Soul, the film will give a fearless look inside the music, moves and moods of Brown, taking audiences on the journey from his impoverished childhood to his evolution into one of the most influential figures of the 20th century. (Synopsis taken from comingsoon.net). Details: The Godfather of Soul led a very turbulent life, which included drug abuse and four marriages. 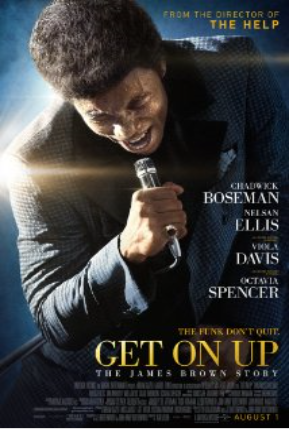 Producer Brian Grazer and longtime friend of James Brown, started working on Get On Up with the soul legend himself involved in the development of the project up to his death in 2006. Rolling Stones frontman Mick Jagger, who also knew Brown, is also on board as a producer. (Source: Movie Pilot; Photo: Universal Pictures). Story: Determined to get engaged before her youngest sister’s wedding, flight attendant Montana Moore finds herself with only 30 days to find Mr. Right. Using her airline connections to “accidentally” meet up with eligible ex-boyfriends and scour for potential candidates, she racks up more than 30,000 miles and countless comedic encounters, all the while searching for the perfect guy. (Synopsis taken from foxsearchlight.com).